Barbados Dairy Industries Limited (PINEHILL) maintains a strong commitment to Corporate Governance and as such, we have developed polices, procedures and mandates consistent with best practice, to the benefit of our Investors, shareholders and business partners. Our Corporate Governance Statement can be viewed here. Our corporate value system as outlined in our Code of Ethics, forms the foundation for internal policies introduced to provide guidance in applying acceptable business standards. Our Code of Ethics is based on concepts of legality, ethical business practices, moral conduct and our social responsibility. The Whistleblowing Policy was initially introduced by our parent company, Banks Holdings Limited (BHL), as a mechanism to support accountability and transparency by enabling individuals to internally raise concerns in good faith. We have since thoroughly adopted the policy and deem it fundamental to maintaining our integrity as it allows us to institute framework to properly address concerns while offering whistleblowers confidentiality and protection from victimization. Since Barbados Dairy Industries Limited (PINEHILL) is a publicly trading company, we are subject to laws and regulations governing trading in its securities. The Insider Trading Policy was introduced by our parent company Banks Holdings Limited (BHL), to promote fair and equitable securities markets and provide guidance for insiders as defined within the policy to ensure greater protection for all investors. The Board of Directors Mandate is designed to provide a general overview of the functioning of the Board and how the Board will discharge its statutory and regulatory duties and responsibilities. The Board of Directors has established committees to assist with achieving its mandate. Each committee has its own terms of reference, polices and established Board guidelines and is directed by a Chairperson who reports to the Board. The purposes of the Governance & Compensation Committee of the Board of Directors of Barbados Dairy Industries Limited (PINEHILL) are to implement effective principles of corporate governance that positively influence the Company's operations and the framework within which decisions are made by its management and to assist the Board in fulfilling its oversight responsibilities with respect to compensation and human resources policies, compensation arrangements for senior executives, pension matters and succession planning for senior executive positions. 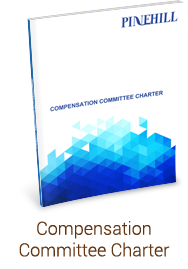 The Board approved the Governance & Compensation Committee Charter which further outlines the purpose, mandate, structure and procedures of the committee. The Audit Committee assists the BHL Board of Directors in fulfilling its fiduciary responsibilities. The Audit Committee reviews the financial reporting process, the system of internal control, the audit process and the company's process for monitoring compliance with laws and regulations and the code of conduct. In performing its duties, the Committee maintains effective working relationships with the Board of Directors, Management, and the Internal and External Auditors. To effectively perform his or her role, each Committee member obtains an understanding of the detailed responsibilities of Committee membership as well as the Group's business, operations and risks. 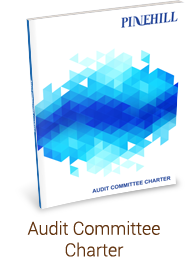 The Board approved the Audit Committee Charter which provides information on the purpose, composition, authority, roles and responsibilities of the committee. The Audit Committee is chaired by Mr. Neville Brewster. 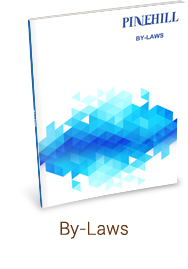 The By-Laws provide comprehensive guidelines and rules for the effective management of the Company. The By-Laws as adopted by the organization, establish the responsibilities of the Board of Directors, Committees and other key members while outlining nomination and election processes, the settlement of disputes and any other protocols deemed relevant to the effective operation of management.